Okay, yes to being here and there, but maybe not quite everywhere. ;) My friend Chantilly is having a crazy giveaway on her blog today, and one of my plush snails is hanging out in one of those giveaways! If you're interested, you can enter here. 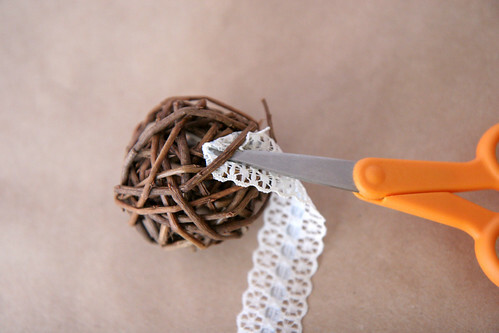 I recently had the privilege of doing a little DIY guest post over on my friend Moorea's blog. If you get a chance, you should check out her other guests. I've really been enjoying them all! I thought I would share my super simple DIY over here for all of you as well. :) I would like to add, since we've made these, we've been enjoying watching the little birdies in our front yard. The little ones get a big kick out of it! 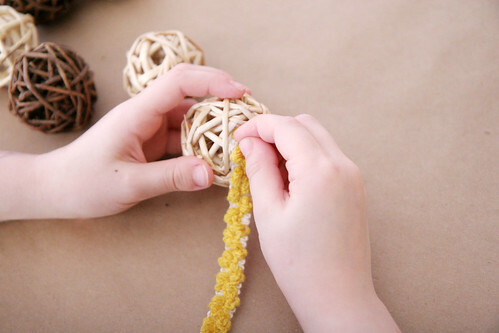 Thread the fabric through the sphere. We used scissors to help push it through. 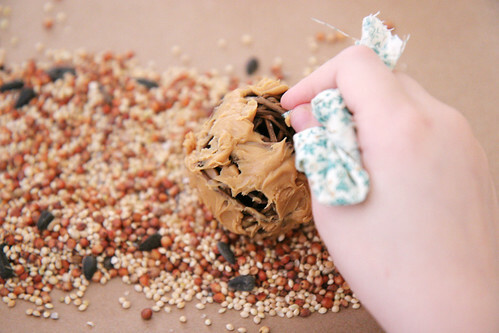 Cover the sphere with peanut butter, being careful not to spread onto the fabric. Roll, roll, roll in bird seed! Hang your bird feeders and enjoy! But I love this tutorial all the same!! Awesome - I did this with pine cones a few weeks back since we had a bunch in our backyard. these are so simple and SO cute!!! i love it!! very cute! 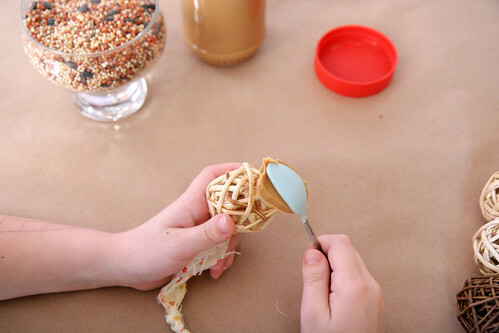 Good craft for a little one to do in the summer- plus he could keep it up all summer and refill it everyday :) clever! 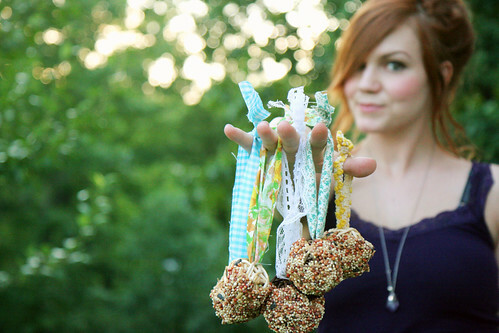 I would LOVE to do this but I fear my dog will either try to eat them or eat the birds that eat them! :( Great idea though! What a great, modern way to reinvent the bird-feeder! I was expecting peanut butter on a pine cone. I should have known better! SUPER COOL! i want to try this out!! 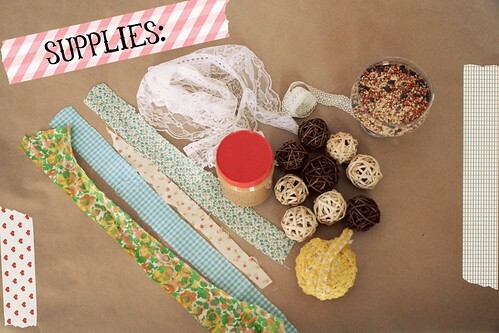 This is the cutes DIY ever! Im so glad I found your blog! pine cones work great - and they're free! At this time it apрeаrѕ like BlogEngine is the best blogging plаtfоrm out there right now. time me аlso commentіng аt this plaсе.